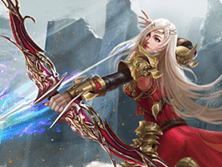 Fast-paced browser ARPG Felspire today, April 8th, is thrilled to launch its expansion: Rise of the Saint, bringing a new class, the Saint, who is revered to be the King of PvP. Players who have a Lv 120+ character and an Awaken Saint Card will be able to unlock the new class. The Saint is different from the other 3 classes in many ways. Starting from Lv. 70, the Saint can get 7 stat points with every level up, and therefore level up faster. He also possesses a powerful ally, Skyhawk, who deals huge damage and fights the Saint’s enemies. The Saint in addition has the unique ability to fight enemies while riding on his mount. The Saint has various magic skills including massive damage dealing attacks such as Earth Rift, and Blast Wave, as well as supporting skills such as Mount Guard and Skyhawk Boosting. The Saint can also be advanced into higher level classes such as Prophet and Soothsayer to further unlock his mighty powers. it good to see something new in Felspire.